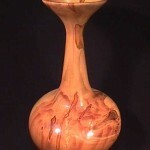 Dennis Fuge started his woodturning at Pretoria Boys High school in South Africa in 1966, where, as part of his eighth grade school woodworking project, he was required to turn a lamp stand. 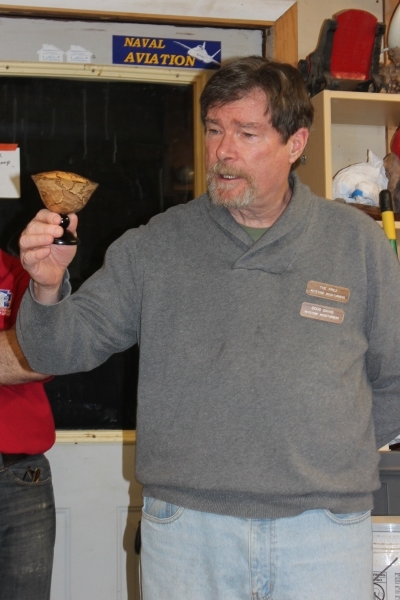 This item still stands in his workshop as a memory to those early beginnings and the start of his love for the art of woodturning. 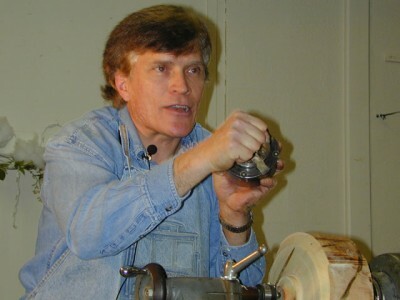 Dennis was fortunate to have an engineering father, Harold, who built for him a homemade lathe which allowed him to maintain an active interest until he moved to Cape Town. 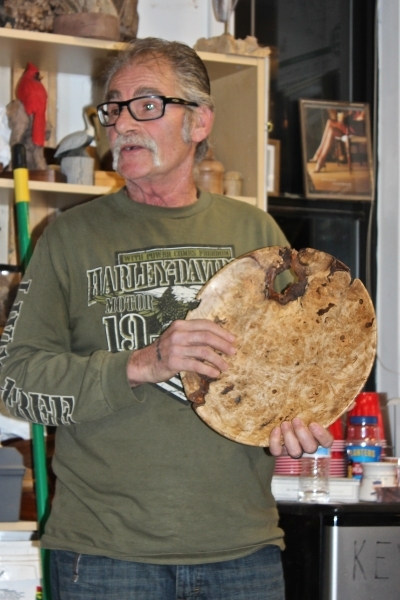 Dennis and his family now reside in Erwinna, Pennsylvania, and have the good fortune of having some of the world's best artistic wood turners demonstrate at their home and share their friendship. 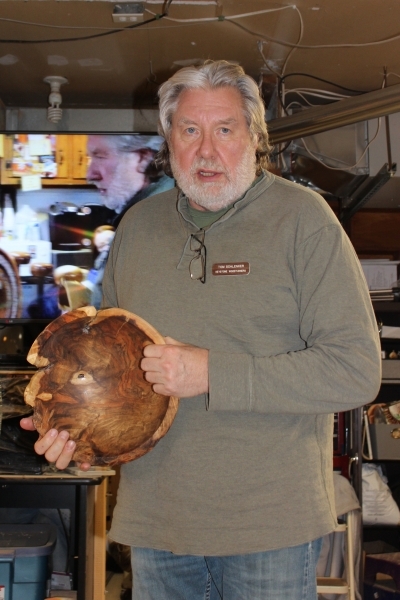 According to Dennis, "the sharing nature of the wood turning community is one of the true wonders of the world and I am proud to be associated with this wonderful group of humans". 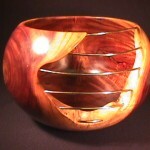 Bring in your latest turned item and tell the members about it. 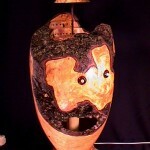 Wood type, finish, and any challenges you had with the piece are of interest to us all. 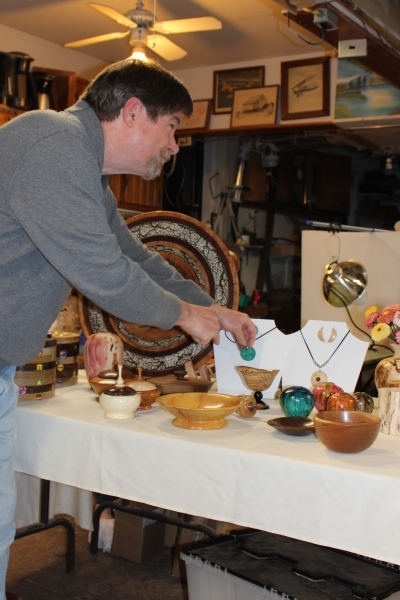 We all enjoy hearing about our members' turned items. And seeing what you've accompished often gives us ideas to try ourselves. 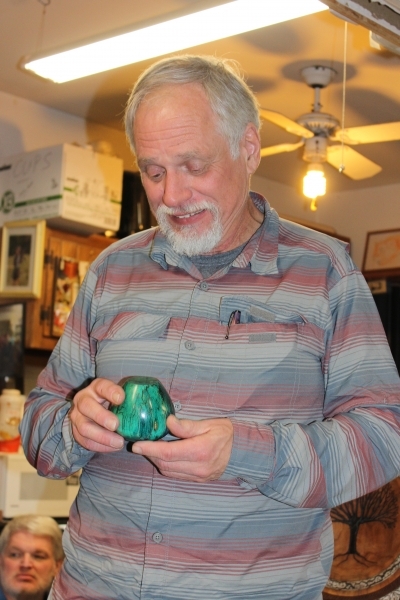 Have something that you no longer need, use or that's just cluttering up your shop or maybe your liquor cabinet? Bring it in for the raffle! Surely, someone will see its value just the way you once did. Remember, the raffle provides major funding for our club with the money it raises! This entry was posted in Posts on August 22, 2017 by Robert Antonishak.